In the pop culture world, there are a variety of avenues to explore, ranging from writing comics to selling graphic novels. An emerging trend is geek fashion, especially with cosplay and people looking to represent their favourite characters on a t-shirt. Pop culture entrepreneur Tony B Kim has set out to provide a market for geek fashion with his Hero Within clothing brand. It was a pleasure to interview Tony about how he set up his brand, how he got into comics and what it felt like to host panels at San Diego Comic Con. Thanks for agreeing to the interview Tony. Having read about your background on your Crazy 4 Comic Con website, I could feel how much passion you have for comics as a medium. What was it about comics that made you want to start reading them? My parents immigrated here from Korea about a year before I was born to a white middle class suburb of Dallas. Growing up I could not feel more alone- then I discovered comics. I remember reading Man of Steel #1 and my life being changed by it. Superman was from a far away place and always trying to fit in. He knew he was meant for something great but he was stuck between two worlds and not fully belonging to either one. He was the ultimate immigrant and that resonated with me. It shaped much of who I was to become and still to this day. I thought it was interesting when you mentioned you felt trapped between two worlds during your childhood. Would you say that made characters like Superman and Batman more relatable for you? Absolutely. There is nothing more overwhelming than feeling like you don’t belong or that you don’t have a people group. I didn’t know any Asians growing up nor did I fit in with my community. I could relate to those characters in a deep and personal way. My parents were typical Asian parents which meant they worked all the time. So I joke that in many ways, Superman and Wonder Woman raised me. Comics are one of the hottest topics in the world right now. How do you feel the cultural perception of fans has changed over the years? I think particularly it has changed in the perception of minorities. Before when I read comics, I felt like to be a hero, you had to look like a big strong white male. Now comics are different. Regardless of age, gender, colour or orientation, you can be a hero. We have a long way to go in regards to representation but at least comics are heading in the right direction. Your passion for pop culture lead you to create your website Crazy 4 Comic Con. Can you go into detail about how that started? Actually it was sort of by accident. Back in 2010, I was auditioning for Morgan Spurlock’s Comic Con documentary called Episode IV: A Fans Hope. To prove to the producers that I was a huge fan, I created C4CC. I made it to the finals and was cast. I was followed and filmed all week but sadly was left on the cutting room floor. However, through that process, I discovered that I loved blogging about comic con and it seemed to resonate with a lot of fans. I became one of the earliest voices and advocates online for comic con. Comic cons are great places to meet like-minded people. What do you think it is about them that attracts visitors from all walks of life? I think if we are honest with ourselves, we’re all nerds about something. Whether it’s gardening, collecting stamps, football- most of us have a passion. Comic con is about celebrating passion and it gives everyone permission to be their authentic self. The success of Star Wars and Marvel films have also legitimized nerd culture, making it more acceptable to wave your geek flag. San Diego Comic Con is considered to be the greatest in the world. Why do you think it stands out from other cons? That’s a chicken or the egg question. Part of the appeal is because of how hard it is to get in. Fans from all over the world have saved up and waited all year long to experience this 4 1/2 day event. This makes for a very emotionally engaged crowd. You are so happy that you finally made it, that it really shows in all your interactions. Obviously the variety of offerings really help as well as the embracement from the city. SDCC unlike other shows is made of 130k fans that know how special it is and how hard it is to get in and that makes for a one of a kind experience. What does it feel like to host a comic panel and how much preparation is needed to gather the guests? At the risk of sounding cheesy, it’s a sacred responsibility for me. It’s truly an honour to lead of conversation of other content creators and have an opportunity to inspire and educate and audience. Some panels are easy and some take a lot of prep, regardless I’m so grateful for the chance to lead a conversation with my peers. It’s honestly my most favourite thing to do at a comic con. The moment I take it for granted, I will walk away for another to take up the mantle. In addition to presenting comic panels, you also run the fashion brand Hero Within. What is the story behind the business? After a couple of years of hosting panels, I was so frustrated that there was nothing for me to wear that was ‘stage appropriate’ that reflected my fandom. Everything geeky I owned was basic t-shirts and hoodies. I searched the market and found very little so I set off to fill the void myself. It’s been two years now and it’s been a thrilling ride. Do you think nerd fashion has evolved to a point that it’s become more accepted, or is there still work to be done? Absolutely. There are so many great companies that have elevated the fashion game and we are honoured to be a part of that community. However, I think there is still a ways to go. Subtle geek fashion is only about a couple of years old so a lot of room to grow. I think cosplay is a great example of pop culture fashion. Do you have any interest in incorporating it into Hero Within in the future? Sure, we are always experimenting and innovating. Cosplayers have always been big supporters of Hero Within and we would love to continue the relationship. I noticed that Frank Miller’s Dark Knight Returns is one of your favourite comics and for that you have awesome taste. What are some of your other favourite stories? Kingdom Come, Trinity, Astonishing X-Men, The Ultimates (Avengers), Superman Earth One, JLA Earth 2, Wonder Woman (Perez 80s series), I could go on. Do you feel that comics are beneficial when it comes to promoting positive mental health? Definitely! I see it being addressed in more healthy context in comics. Many of my colleagues like Dr Travis Langley, Dr Andrea Letimendi and others are creating great content around the Batman psyche and related characters. I am personally passionate about getting foster kids comics because of the topic of childhood trauma. Would you say there’s a lot more diversity in the comic industry compared to a few decades ago? Yes, in particular with women in comics. There are more writers and artist than ever before writing about the female experience- which has been lacking. Of course it’s great to finally see an Asian Superman! We have a long way to go but so much has changed and it’s really exciting. 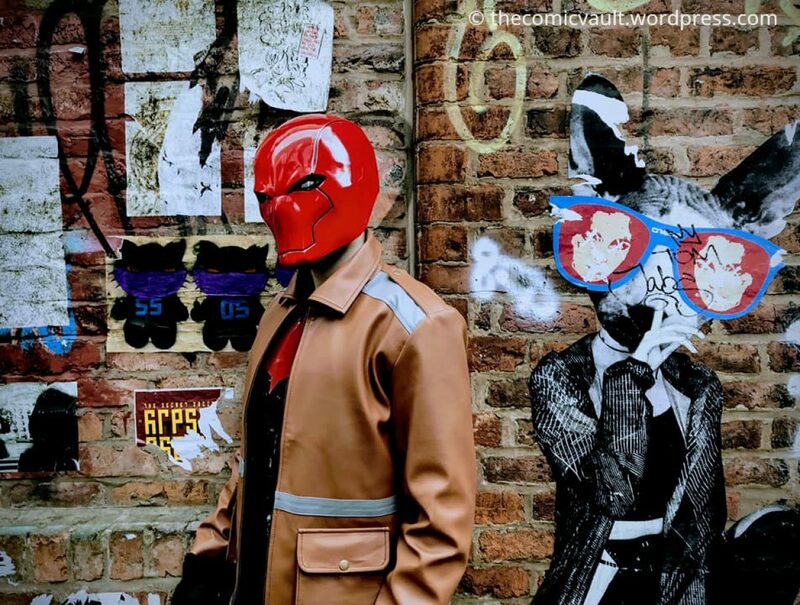 As a comic fan who’s created a business for himself, what kind of advice would you offer to someone who wants to start their own pop culture venture? Don’t do it unless you have to. It takes all your heart, strength and soul to get something meaningful off of the ground. And even at that, many times it doesn’t work out. Sometimes it’s the 6th business you started that really takes off so have patience and organize your life around that.